Woosh I finally finished this quilt from ummm months ago. I think the completion of this project has brought me out of my blogging hiatus. It is a quilt for Quilts for Kids that I started with my friend Cara at one of our sewing circles. 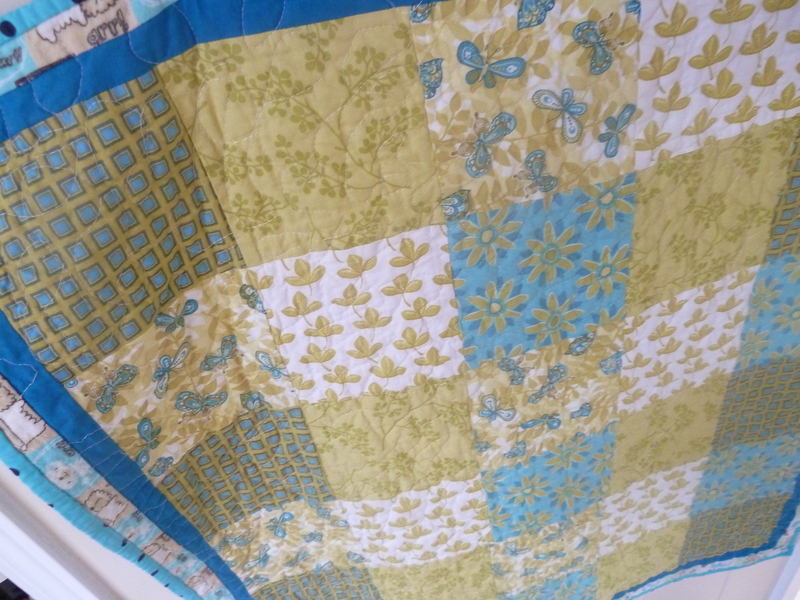 I was dreading the finish of this project simply because I didn’t know how to bind a quilt! Ok on the other side it really wasn’t that hard. 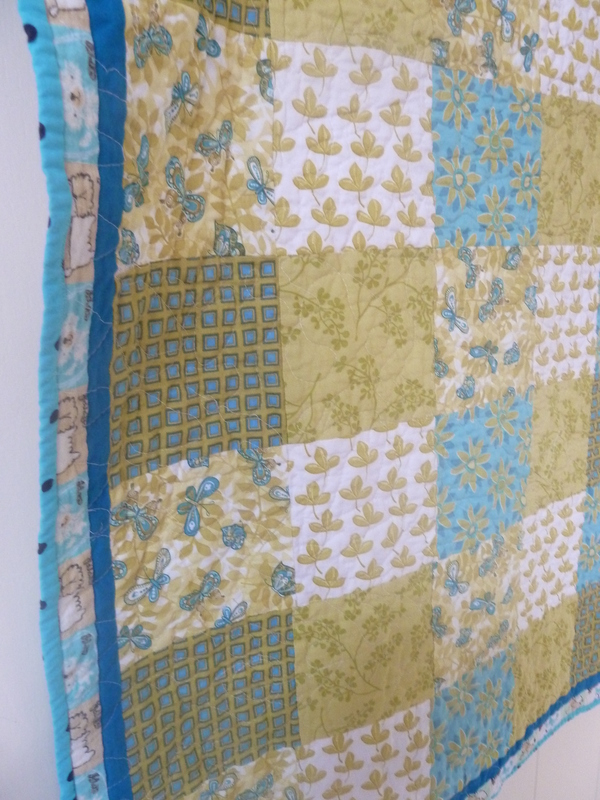 I watched an awesome youTube video from The Crafty Gemini on binding a quilt. I highly recommend. My mom was also in town and gave me a few hints from her limited quilting knowledge. I think I might even make another quilt! Well after about a million other projects. In the meantime I hope a little boy or girl who is going through a hard time enjoys this quilt. Have you ever had a project that just sits in your sewing room starring at you and sometimes makes you feel uncomfortable? Like hey the longer you wait the more daunting I get? Well I finally tackled mine and I feel liberated! On to another project, if I can get away from this Project Runway marathon. 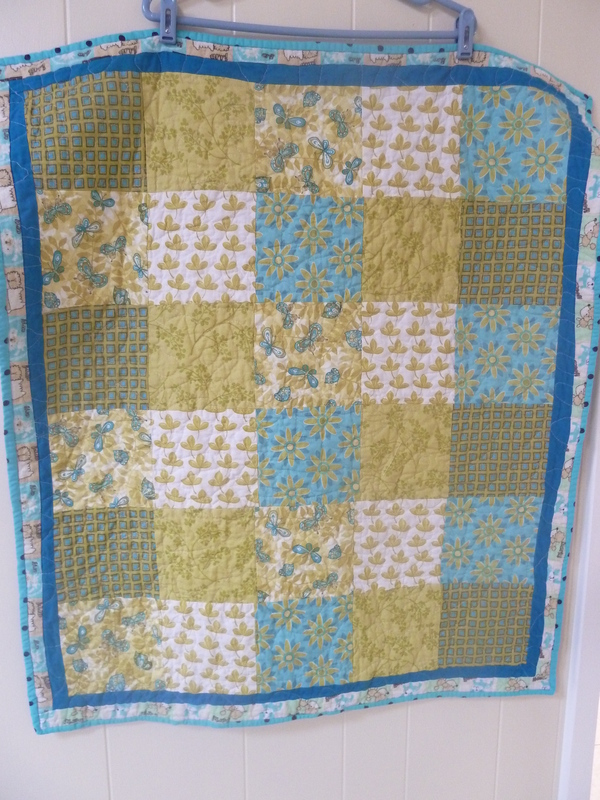 Posted in Quilts and tagged daunting task, finished quilt, first time quilter, quilt for kids. Bookmark the permalink.